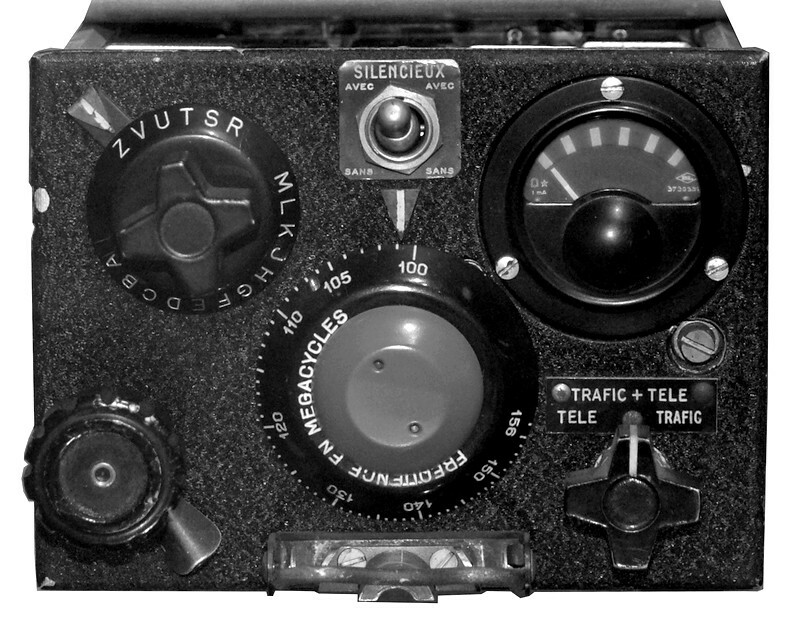 Together with the helicopter Alouette II built by the French company Sud Aviation, the aircraft VHF radio which came with it made by the French company Socrat was a new part of equipment used by the Swiss Air Force. The Socrat TR-AP-19-A got the military designation SE-020. .
up to twenty channels crystal controlled or tuneable via VFO, power supply from 27,5 Volts on-board system via a rotary transformer, rod antenna. The Socrat TR-AP-19-A is a very compact VHF aircraft transceiver built up with valves, is is powered by the helicopter's on board 27,5 V electric system, the high voltages for plate and grids is generated in a rotary transformer. The set is tuneable in the complete AHF air band range, up to twenty channels can be crystal controlled. The set can also be used as an on-board intercom (position "TELE" of the mode switch. The VHF radio Socrat / SE-020 was installed in all helicopters Alouette II and probably also i nthe later Alouette III models of the Swiss Air Force, it was in use during the years 1954 - 1976.